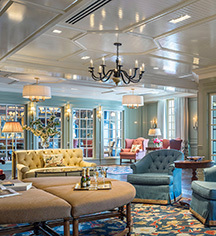 Located on the Village Green in the heart of Woodstock, Vermont, the Woodstock Inn & Resort offers warm New England hospitality amidst an atmosphere of rustic, country elegance and year-round recreation. The AAA Four Diamond facility offers award-winning dining, 142 luxurious guestrooms and suites, and 30-plus indoor and outdoor activities. The resort facilities include a 10,000 sq ft full service Forbes four-star rated spa, an 18-hole Robert Trent Jones, Sr. golf course, the Suicide Six downhill ski area and mountain bike park, the Snowshoe & Nordic Adventure Center, the 40,000 sq ft Woodstock Athletic Club, 3.5- acre certified organic Kelly Way Gardens, newly renovated Kelly Way Red Barns with culinary and garden studios, New England Falconry, and the Billings Farm and Museum. The Village, right outside the resort, boasts discriminating art galleries, antique shops, unique boutiques, delectable restaurants, and lively bars. 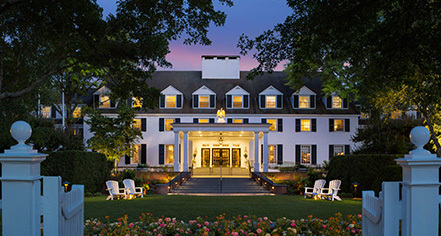 Woodstock Inn & Resort, a member of Historic Hotels of America since 2016, dates back to 1793. PGA touring pro Keegan Bradley hosts his annual charity golf tournament at the Woodstock Country Club. Age Requirements: Must be 18 or older to check-in. Cancellation Policy: Cancel up to 14 days before arrival - $30 cancellation fee. Cancellations within 14 days of arrival - forfeit one night's room plus tax. Cribs and Pack-in-Plays: Complimentary upon request. Deposit: 50% deposit required at time of booking. Holiday periods full pre-payment, six weeks prior to arrival. Early Check-In/Late Check-Out: Granted upon request, based on availability. Extra Person Fees: $30 per adult. Handicap Accessible Rooms: Handicap accessible rooms are available. Please notify request at time of booking. Hotel/Resort Fees & Taxes: 10% room tax and $30 per night, taxable resort fee. Rollaways: Available on request - $15 per night. Occupancy Restrictions: Varies by room type. Some rates have minimum length of stay. Parking: Valet and self-park - part of resort fee. Payment: American Express, MasterCard, Visa, and Discover. Pet Policy: $125/stay. Pet-friendly garden level rooms only. Transportation: Transportation, including an airport shuttle, may be arranged through the concierge. Rates apply. Located on the Village Green in the heart of Woodstock, Vermont, the Woodstock Inn & Resort offers warm New England hospitality amidst an atmosphere of rustic, country elegance and year-round recreation. The AAA Four Diamond facility offers award-winning dining, 142 luxurious guestrooms and suites, and 30-plus indoor and outdoor activities. Learn more about the History of Woodstock Inn & Resort .